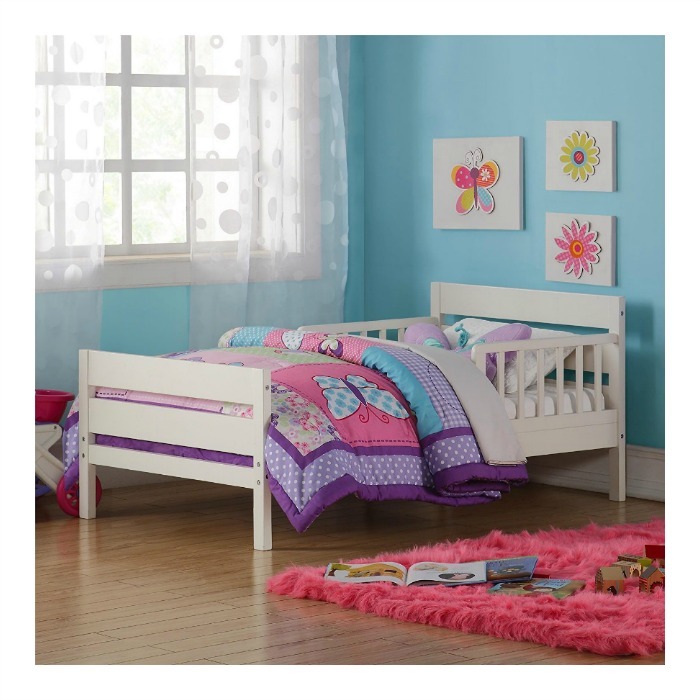 Baby Relax Cruz Toddler Bed Just $54.11 Shipped! Down From $113! You are here: Home / Great Deals / Amazon Deals / Baby Relax Cruz Toddler Bed Just $54.11 Shipped! Down From $113! Amazon has this Baby Relax Cruz Toddler Bed for just $54.11 (Reg. $113)! The Baby Relax Cruz Toddler Bed is the perfect transition between crib to twin or full size bed. With a beautifully paneled headboard and footboard, and with an array of color options to choose from, the Cruz Toddler Bed is a stylish solution to your growing child’s needs. Guard rails are located on either side of the toddler bed to provide added security and its low to the floor build makes climbing in and out of bed safe and convenient. The Baby Relax Cruz Toddler Bed meets JPMA (Juvenile Products Manufacturers Association), CPSC (U.S. Consumer Product Safety Commission) and ASTM (American Society for Testing and Manufacturing) safety standards so you can feel secure in using this toddler bed for your child.